Actor and comedian Steve Carell may star in a hit television comedy as well as movies, but he still faces many of the same challenges of fatherhood as all of us "regular" guys. 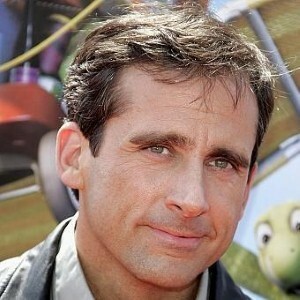 Carell recently revealed to Babble.com that he has to walk a fine line when it comes to parenting. Is he the good cop or the bad cop? "I try to be a hybrid," he said. "You walk a fine line there. You want your kids to have respect; you don’t want to coddle them. You don’t want to be their buddy – but you do. You want to have that connection, but you also want them to respect you when you need to draw the line because kids need a sense of structure. It makes them feel more secure." The actor, currently starring in the movie Despicable Me, has two children with wife Nancy Walls Carell. Daughter Elisabeth Anne is 9 and son Johnny is 6. "They’re at the perfect age. But I feel like that about every age," he said. "You can’t explain to someone who’s going to have kids how their life will change. You just can’t. I’ve tried, but given up at this point. Everybody responds to parenting differently, but the common thread is that it changes everything: how you feel about yourself, your work, your life and the world around you. And it’s so overwhelming."